On the 30th of May 1945 Edward Beck set up the company of Contractors (Manchester) Ltd. This was Edward Beck's original company that concentrated on demolition, building & civil engineering works. Their first office was located for a short time at No 4 Clarence Street off Albert Square in Manchester but they soon moved to other office's on Brazenose Street in Manchester along with a small yard on Blucher Street off Hyde Road Manchester. The company would operate from these premises until 1948 when Edward moved his business to Greg Street in Reddish near Stockport which proved to be an ideal spot for the subsequent growth of potential traffic in the years to come. Driver Bud Walters takes time out for a photograph in Seddon Diesel four wheeler Reg No CBA 408. 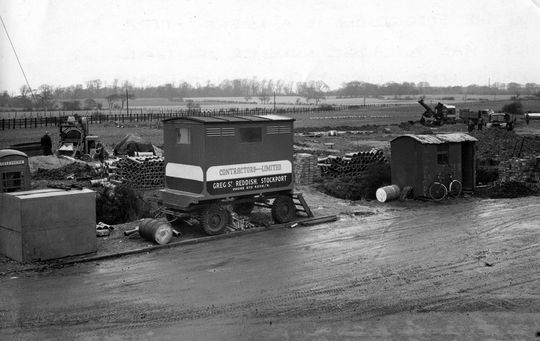 The year is 1946 when Edward Beck purchased Douglas Rourke Ltd General Haulage in an attempt to enter the long distance road haulage sector only for the road haulage industry to be nationalised the following year. 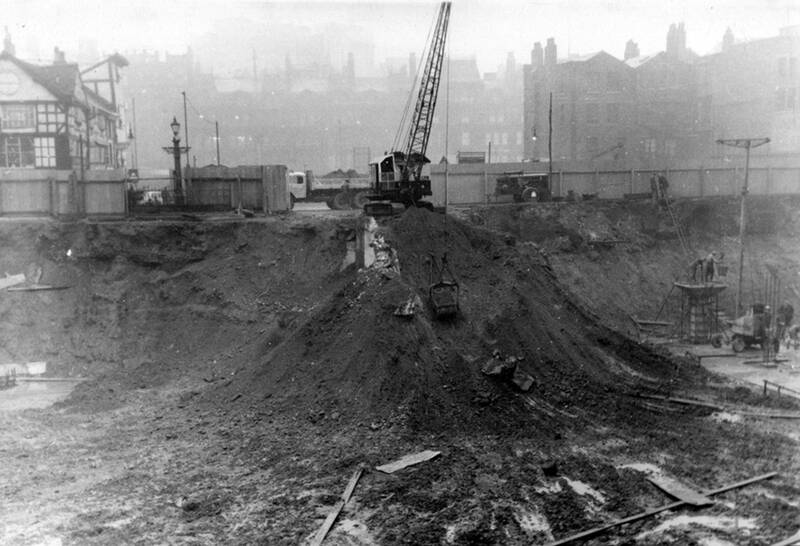 After this Edward concentrated on building, civil engineering and demolition until de-nationalisation took place in 1951. 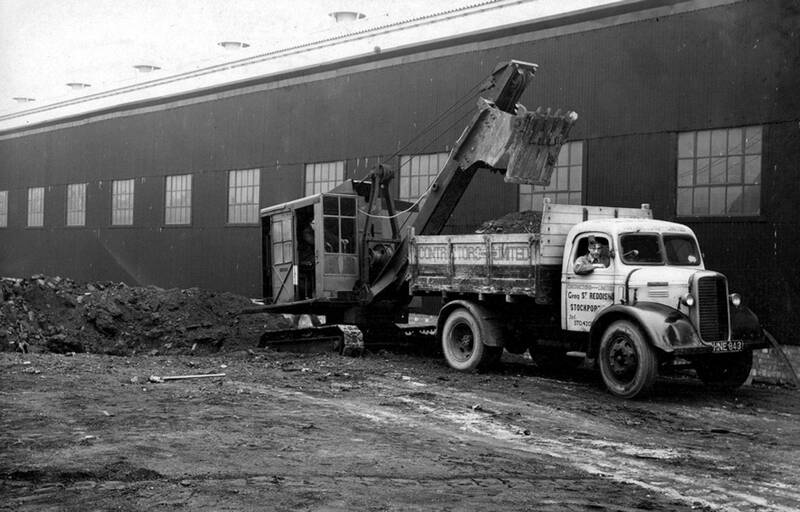 Taken at Partington Gas Works in 1949 this early picture shows one of the company's Canadian Dodge four wheeler tippers of which Edward had quite a few. It is waiting to be loaded next to one of Edward Beck's Ruston-Bucyrus 10RB excavators. 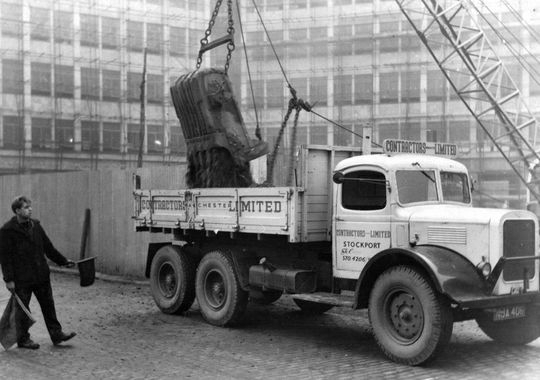 Early days at Edward Beck saw the introduction of this second hand Dodge tipper in to the growing fleet during the late 1940's. 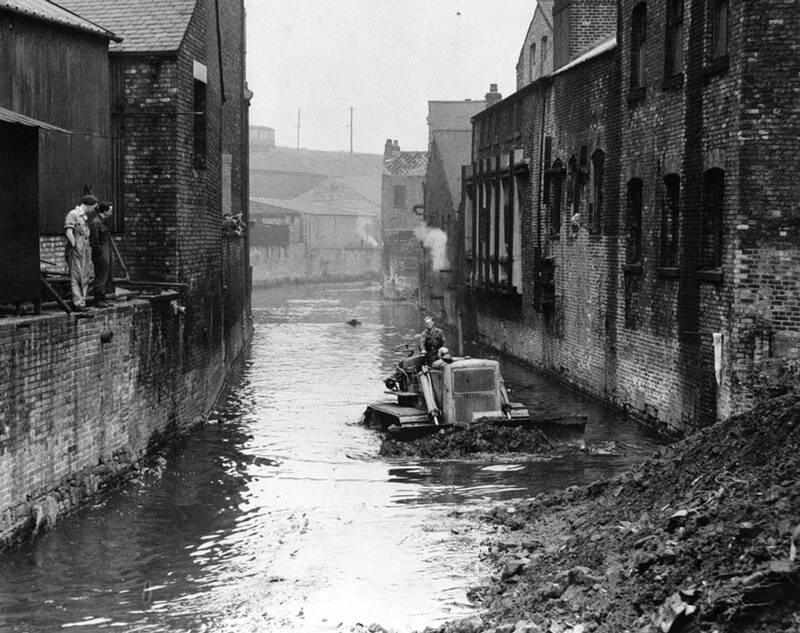 Seen here in 1951 this was one of around 35 tippers in the fleet during the late 40s and early 50s. 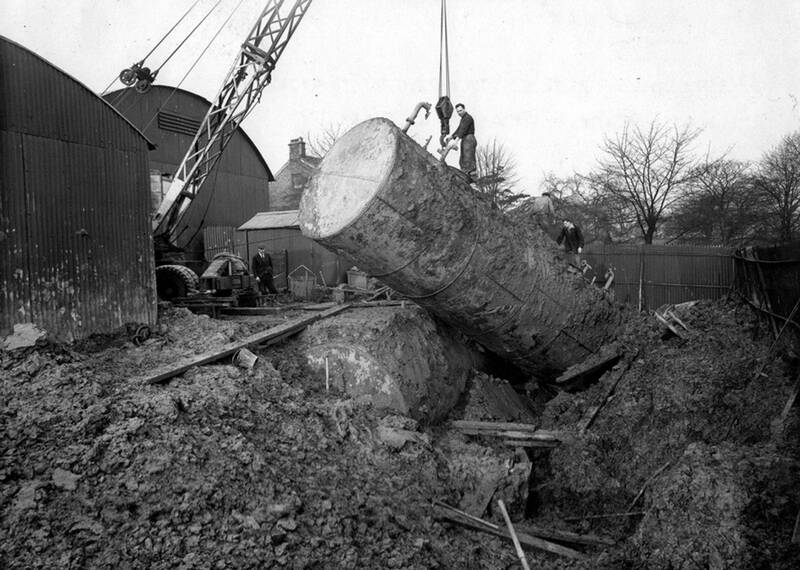 The Ruston-Bucyrus 10 RB excavator was also one of a several owned by Edward Beck at that time. 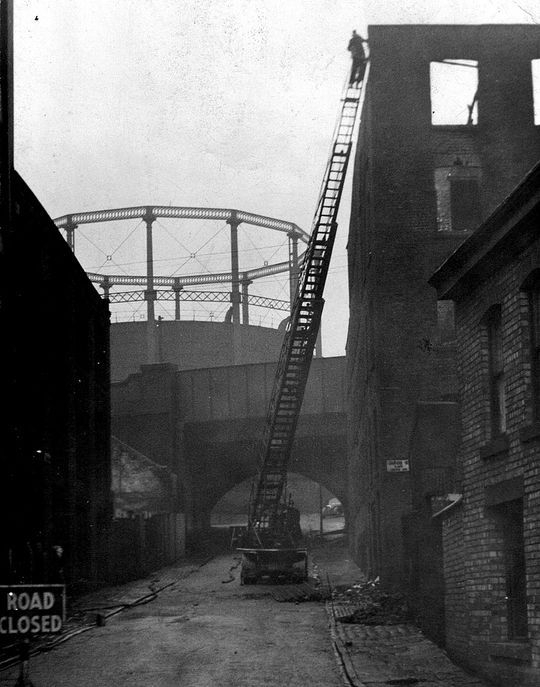 During the demolition of a building near the Bradford Road gas works in Manchester one of the demolition gang is pictured at the top of a Merryweather turntable ladder which had been purchased second-hand from the Manchester Fire Brigade. 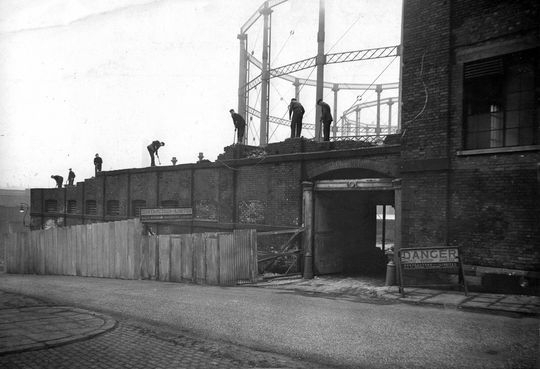 The demolition gang get stuck in demolishing a wall at Bradford Road Gas Works in Manchester in the good old days before health and safety became the norm. This ex military AEC Matador was one of six originally used by Contractors (Manchester) Ltd for transporting the company's own plant and equipment to various construction sites across the Northwest of England. 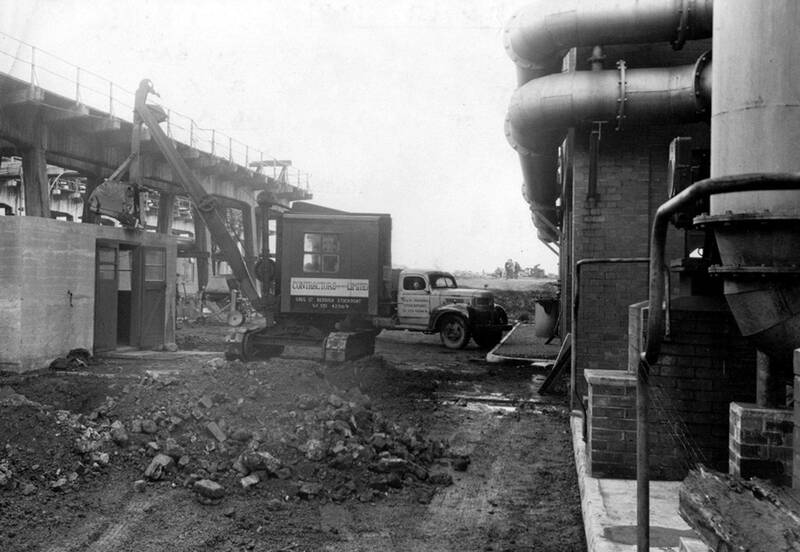 The year is 1951 again and this was the scene during construction works at the premises of Thomas Crompton Ltd Haydock. In the foreground is one of the company's mobile office's which was one of many Edward Beck purchased from ministry sales at Ruddington. This was the scene at Bank Bridge Rubber Co Ltd in 1951 during the building of a new extension. 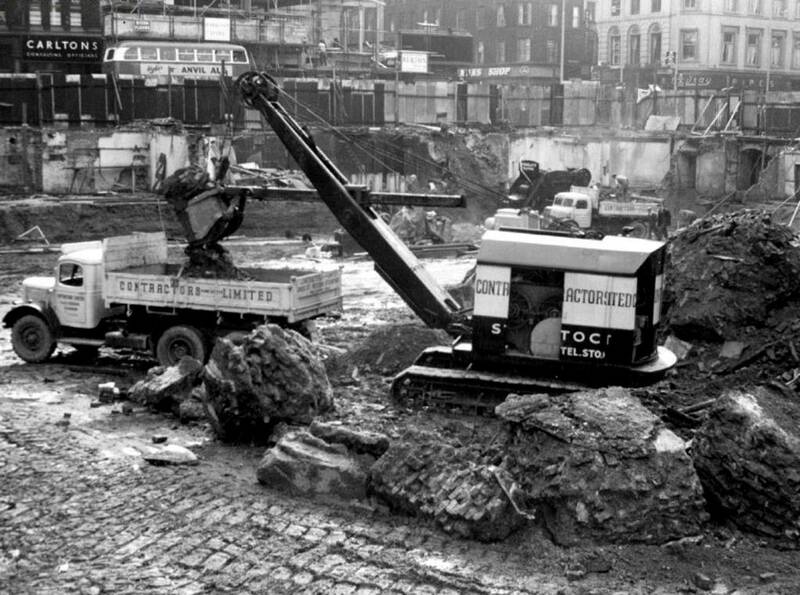 Note the Austin four wheeler tipper and the Wingett concrete mixer. As well as concentrating on demolition, building and civil engineering the company were called upon to undertake many other jobs including the dredging of the River Irwell at Salford in 1951. 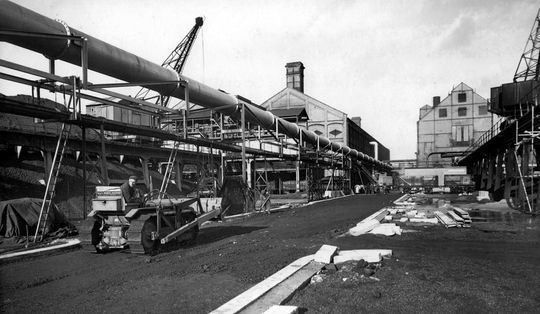 1952 and the company got the contract to refurbish the buildings at the premises of the Wharton Crane & Hoist Co Ltd of Reddish Stockport. 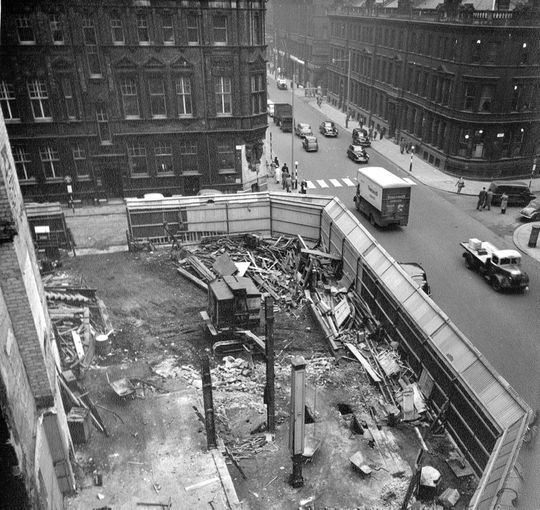 1954 and the demolition gang get stuck into removing this large petrol storage tank out of the ground. 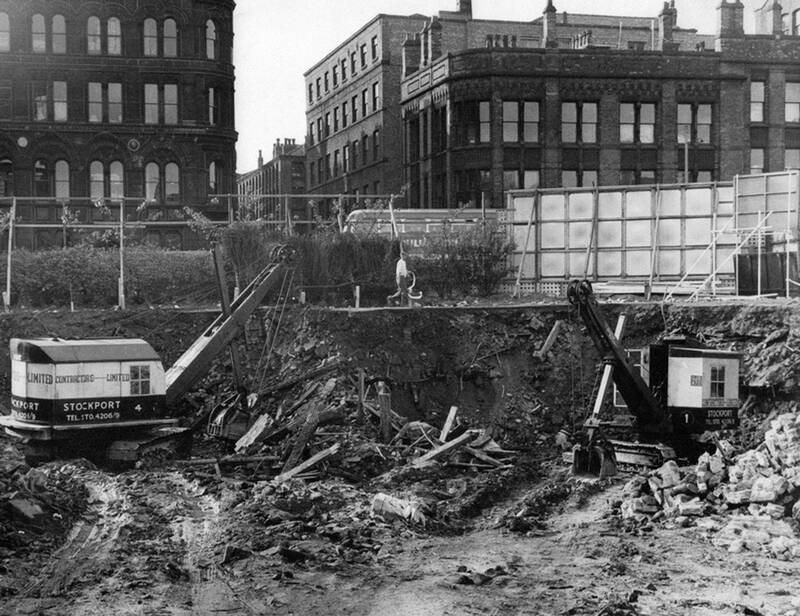 1954 and one of the company's Ruston Bucyrus 10 RB excavators is pictured at work during site clearance adjacent to Deansgate in the centre of Manchester. In 1955 Contractors (Manchester) Ltd were give the job to construct a new road at the site of Partington Gas Works. 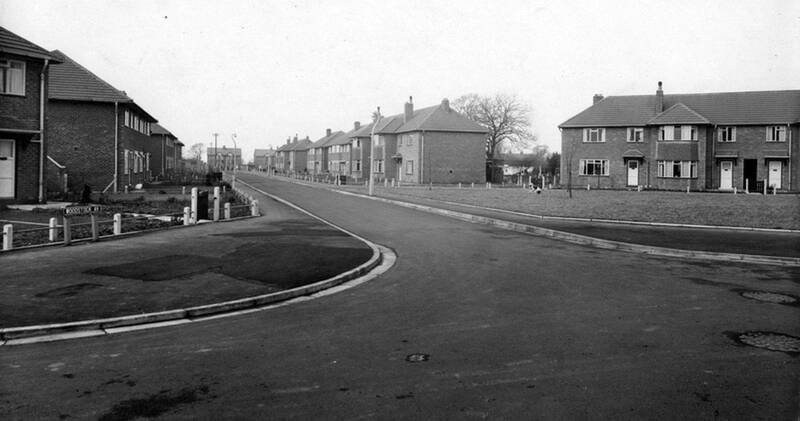 During the mid 1950's Contractors (Manchester) Ltd built these roads for the then new housing estate on Woodstock Avenue in Cheadle Hulme near Stockport. Ronnie Kerr is pictured directing traffic next to an ex Ministry of Defence Austin K6 6X4 tipper Reg No NJA 406. Austin K6 6X4 tipper Reg No NJA 406 can be seen in the distance while being loaded up with rubble by one of the company's Ruston Bucyrus 22RB excavators during major reconstruction of Manchester city centre in 1958. 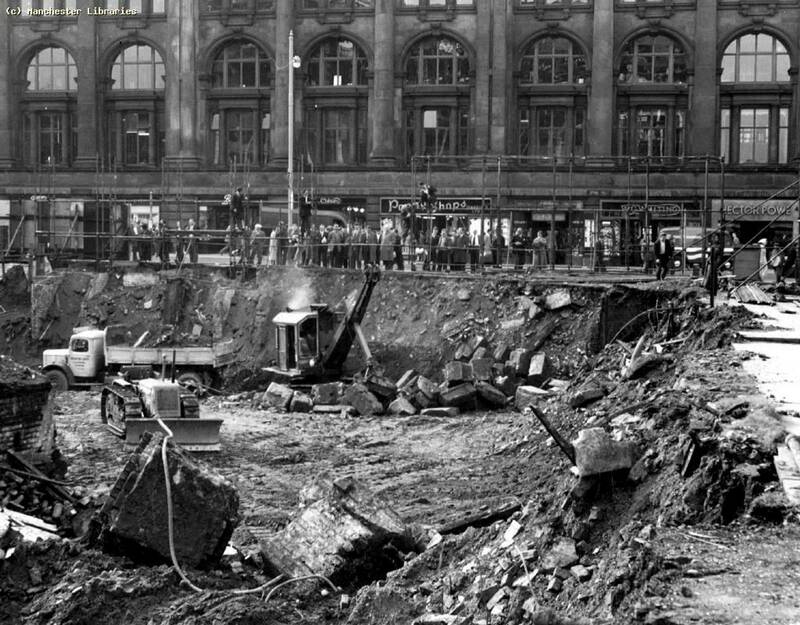 A pair of Edward Beck's Ruston Bucyrus excavators are pictured here in 1958 beavering away during excavation work for the then new Marks & Spencer store in Manchester city centre. On the left is a 22RB while on the right is a smaller 10RB. This was the scene in 1958 during excavation work for the then new Marks & Spencer store in Manchester. On the left is an Austin K6 6X4 tipper being loaded by one of the company's Ruston Bucyrus 22RB excavators. 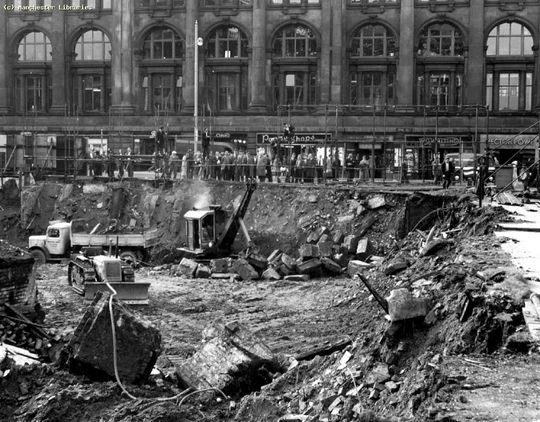 Another shot taken in 1958 during excavation work for the then brand new Marks & Spencer store in Manchester. 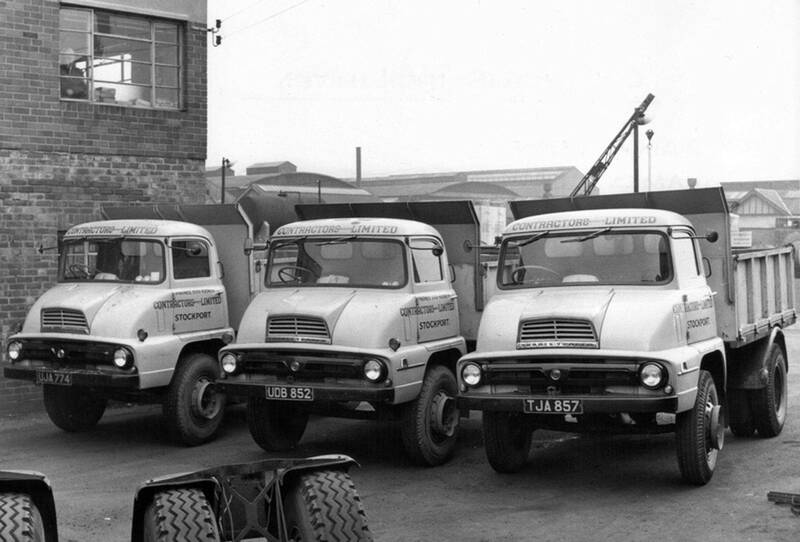 Pictured here in 1960 are just three of the many Thames Trader four wheeler tippers that Edward Beck ran in the livery of 'Contractors (Manchester) Ltd'. These vehicles were brought in to replace the ageing Austin K6 tipper vehicles. 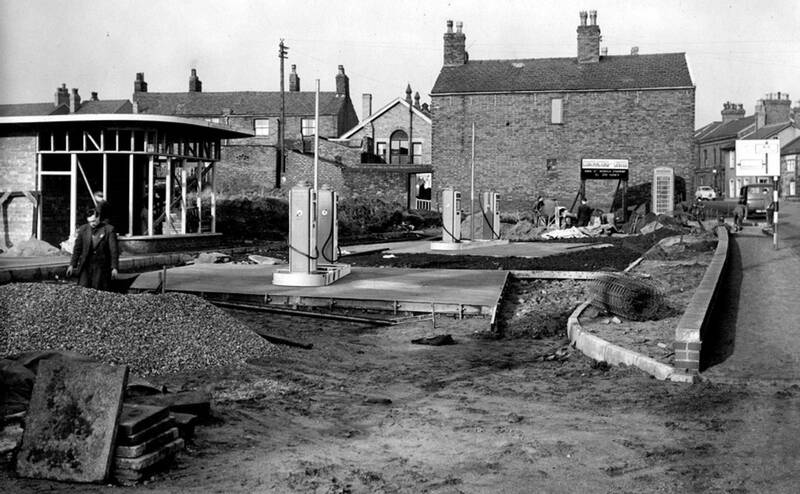 Throught out the late 50's and early 60's Contractors (Manchester) Ltd built all the new Shell fuel stations in the North West of England. The company would clear the site, deliver and sink all the underground storage tanks and build the entire forecourt from scratch. The picture above, taken in 1961, shows the construction of the Shell station on the A6 London Road Hazel Grove near Stockport. 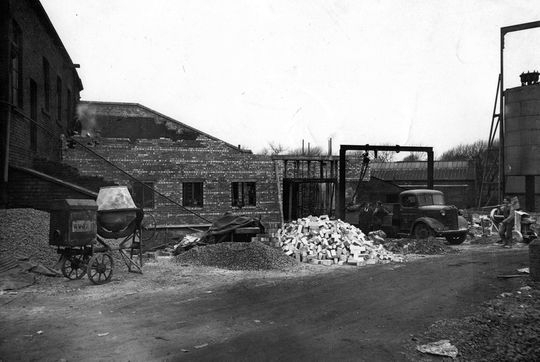 Another of Edward Beck's originally owned company's was Contractors (Vehicle Deliveries) Limited which he set up on the 10th of November 1947. 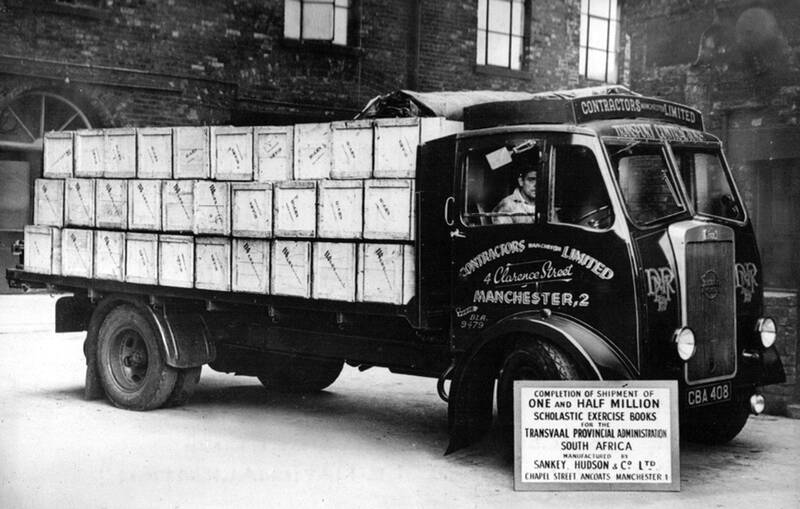 This consisted of a vast variety of work delivering vehicles of all shapes and sizes to all parts of the UK including delivery of vehicle chassis's from Seddon Motors in Oldham. Today most new vehicles are delivered by transporters but in those days even up to the late 1970's it was standard practice for most new vehicles to be driven under their own power while on trade plates. At at its peak the company had 80 trade plates and over 100 drivers on their books enabling the company to deliver fleets of brand new unregistered vehicles by road throughout the UK. One of the main delivery contracts Beck's had was delivering, on trade plates by road, a vast amount of military equipment on behalf of the U.S.A.F. out of the huge Burtonwood base near Warrington. Pictured on Greg Street in 1949, awaiting delivery to a US base in Suffolk, is pair of Reo 6x6 tractor units loaded with military equipment. Rated for a gross combination weight of 77,636 lb these vehicles were powered by 180 bhp Hercules HXD 6-cylinder petrol engine's and were originally built for service during World War 2. 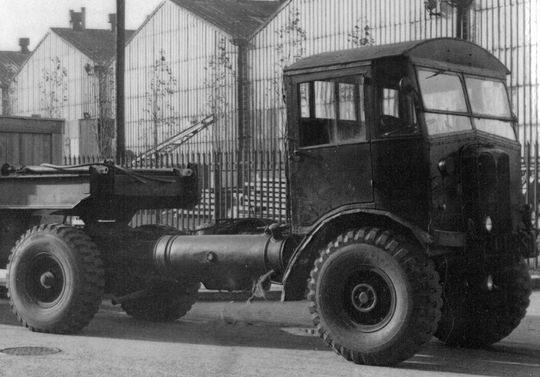 A close up shot of a Reo 6x6 tractor unit loaded with military equipment parked on Greg Street in 1949 while awaiting delivery to a US base in Suffolk.